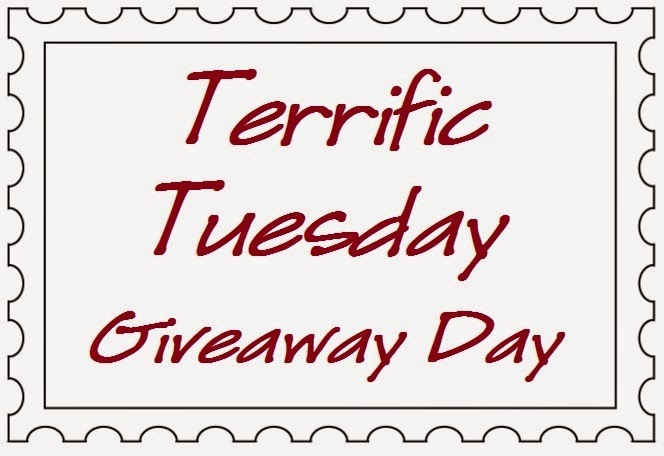 And today, there are actually 2 Terrific Tuesday Giveaway Days!!! I know Halloween is over... but I love spooky delights in the shop! My oldest WIP is about 2 years old now. Making a car play quilt for my youngest. Just have to figure out all the buildings I want to applique to it. I've only been quilting close to 2 years so my oldest WIP is about 18 months. The top & back are done and batting has been cut...it just needs basting & quilting!! I started following Kimberly's Fabric Stash on Twitter. I think my oldest UFO is about 6 years old. It is a class project that I did with Karen Combs. It only needs trimmed and bound. I have a couple projects that are cut out but not started. I can't find my oldest WIP. It's somewhere, but hasn't been found in the 12 years I have been here. How about a One Day finish? <3 Terrific Tuesday! My oldest WIP is a set of 100 4" basket blocks. I stopped when my imagination thought only of a 10 x 10 layout for a small quilt, now having seen lots of mini quilts they may become part of several mixed-block quilts. My oldest WIP is an Amish-inspired quilt I started in grad school...uh, that was a loooooong time ago, way before rotary cutters and specialty rulers. I remember cutting quilt pieces out as I walked to campus. The pieces are still stacked neatly in a cookie tin. I went to Kimberley's website....I like that she has a rewards program. I am having some log cabin blocks which have been cut out before 2 years. My oldest WIP is 5 years, it was the first quilt I started. My favourite item is the Juniper Berry layer cake. My oldest WIP is a year old. I started on Women of the Bible quilt and had to put it aside for other projects. My truly oldest WIP is hand quilting a quilt top made by my great grandmother. I just never find the time to sit at my frame and sew on it. My oldest WIP is nearly 10 years old!!! I really should finish it!! 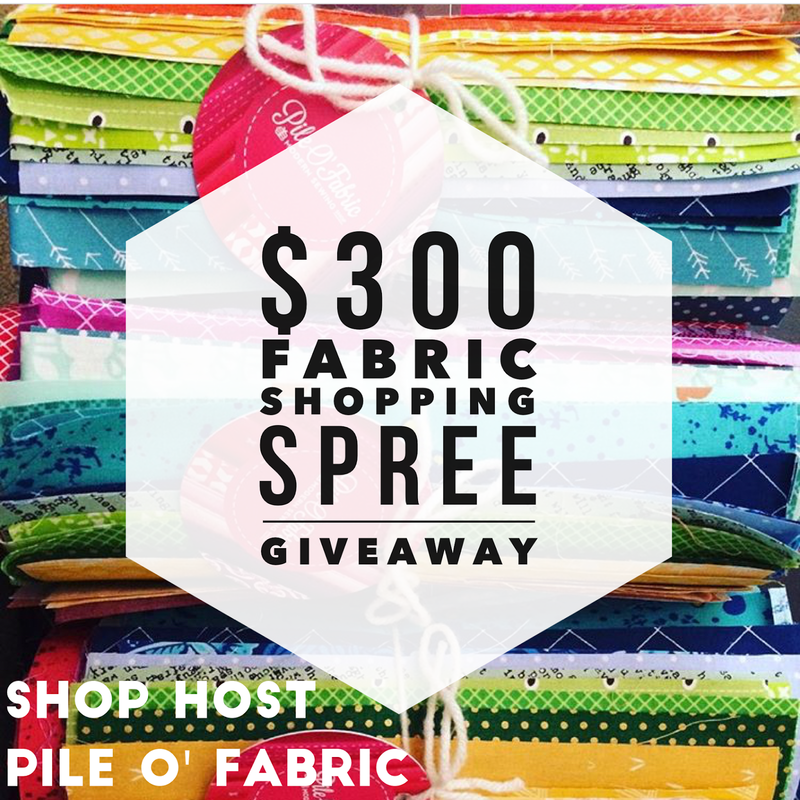 FOLLOW Kimberly's Fabric Stash ON FB+GMAIL ! I'm pretty sure it is tucked away in a box and long forgotten. I've found a couple of those this year while organizing and I have cheerfully given them away to someone excited to finish them. That's the best! My oldest is just from last year. It's a crazy improv quilt, and the top and back are complete, but I'm working on a few other things with deadlines now. My oldest project is a 1 year old quilt for a friend I'm too nervous to quilt in fear of screwing it up!! A quilt wall hanging with embroidery The Lord's Prayer, started in 2014 when I first started quilting. I signed up for Kimberly's newsletter. I love discovering a new store! I've done really well this year with my guild's UFO challenge, so now my oldest WIP is about 2 years old, it's a floral lap quilt using a jelly roll. Mine would be probably between 8 and 10 years old. A purple French Braid. My oldest quilting WIP is Vintage Farm Girl. However, I have unfinished cross stitch pieces that are at LEAST 20 years old. I'm sorry I had to admit to that! I joined Kimberly's Fabric Stash Club. Love the quote in the logo! Gosh I think I have one quilt I started for a donation quilt 8 yrs ago, I started quilting it and didn't like the design so was going to rip and it's never gotten ripped yet!!!!!!!! I am sad to say my oldest WIP is about 12 years old. It is one of the first projects I learned in my beginning quilting class--a rail fence patterns with ladybug fabric as the focal. It needs to be quilted and bound. I've lost interest because I have "graduated" to better quality fabrics with a nicer hand and finish. I know I just need to do it and then donate it! gosh, I just finished the top to a kit I had eight yrs ago. I still have two kits to go. yikes! I am a brand new quilter so I am working on a quilt for my 1 yr old. Oldest work in progress? Are you kidding? I can't remember back that far . . .
Oooh, I checked out the Sale section and got a little carried away - nice selection and prices! Also signed up for their newsletter. And will check out their social media, too. I think it might be a Christmas quilt from a few ... years ago. I have a quilt from about 1990 that still isn't quilted (by hand yet). My oldest WIP is about 5 years old. I just can't decide how I want to quilt the basted quilt top. The last two years I have been working very hard to complete WIPs. I am proud to say that sometime in 2017 I should have them all done. Fabric Stash has a layer cake of Juniper Berry by Basic Grey. Yeah! I subscribe to Kimberly's Fabric Stash newsletter. I follow Kimberly on facebook. I have a quilt I started when my little sister was 4. She has now passed. She would have been 57 this year. My oldest WIP has been recently finished, a postage stamp quilt. My second oldest WIP is still in pieces in a shoe box, it's going to be my next leader-and-ender project to be finished. My oldest WIP is about 10-12 years old. I follow Kimberly's Quilting and Sewing on FB. My oldest WIP is 2 years old, but I'm a new quilter. It's a very jelly roll friendly pattern, and I wish I had bought jelly rolls because cutting is my least favorite part of the quilting process. My oldest WIP is a Rose of Sharon quilt I started 32 years ago when my daughter was born. She is now expecting a daughter of her own, so it is time to finish it! Just signed up for Kimberly's YouTube. What a great resource! Thirty two years ago I started a blanket? afghan? something with little woven squares for my cousin's baby shower...even began to put it together, but gave up and bought something else. Now it's time for his wife's baby shower, and I toyed with finishing it, but a whole new quilt was better! My oldest quilting WIPs are maybe 2 yrs. old, but I have cross-stitch pieces much older than that needing to be finished (i.e. framed)- some more than 20 yrs. old. Quilting shows progress a lot faster than cross-stitch does! I follow Kimberly through her newsletter. Unless you count the burlap table runner I've been embroidering on for the last 3 years I haven't been quilting long enough to accumulate any old WIPs! I have several that are old but not making any progress, so I would say my oldest in progress and on going is my children's sampler quilt. I make up blocks in kid friendly fabric as I go. I may see a block somewhere that I want to try but not do a whole quilt or go to Quilter's Cache and just look around until one speaks to me. When I get enough blocks I make up a cuddle quilt to give to the Linus project. I had a 2010 block of the month I just finished piecing in October, and have not yet quilted. So yeah, six years to finish . . . I just purchased a bunch of fabric on Kimberly's great sale, for my Bonnie Hunter mystery quilt. She has great fabrics is a really nice generous person and I will buy from her again. I found her through this site and Happy Tuesdays. Oldest WIP ~ a year ago I purchased a few kits and some fabric and pattern(s) on a bus trip. Haven't touched any of it! Since they haven't been touched I guess that aren't technically WIPs . . . otherwise have a project still rolled up in a table cloth (also known as my portable design wall) from the spring. i just visited Kimberly's website and signed up for her email. 6 years and counting...my very first pieced quilt top from when I was expecting my first child. I didn't know my sewing foot was 3/8" wide instead of 1/4" and so none of my blocks matched up and the result made me so frustrated I've never finished it! But I've got it ready for the day I feel willing to just accept imperfection. Added some Facebook love for Kimberly! I think my oldest Is 3 years old. Its a mystery quilt. My oldest project is a tree skirt I started three years ago - must finish it for this year! My oldest work in progress is about 6 yrs old....all cut out, haven't even begun to sew!! A queen size quilt using French General fabrics. My oldest WIP is about 3 years old. I have a quilt that needs the binding sewn. I've finished many others since then, but for some reason never find the right time to do this one. I have a Double Wedding Ring quilt that is over 3 years old. A queen quilt to be, almost all cut, 1 year, 11 months, 2 weeks...started just prior to thanksgiving 2014. Thank you. Oh my.....I'm ashamed to say that it is a bear claw quilt for my son started in 1997. But having recently retired....., it's definitely on my radar!! Daily Grind Coffee Fabric J. Wecker Frisch in the shop.......you can smell that coffee brewing! I made a push last year and finished a lot of UFO'S, so my oldest is about 5 years old, and the centers of the blocks are not right. Um...putting this in print is scary. I16 years ago I started a Winter Memories quilt (BOM pattern). I purchased all the patterns and have done one every few years! Until this year, I've done 3 and plan on finishing before Christmas!!! :-P Life, babies, other quilt projects-or dozens, happened! 16. Years. Sorry about the typo! I am already subscribed to Kimberly's newsletter. I have a licorice allsorts quilt that I started 10 years ago. I finally finished the top this year. Still needs to be quilted and bound. Fortunately I have been on top of my quilting projects. However, the huge quilt for our master bedroom still needs some more hand quilting and I'm just waiting for the cooler temperatures to snuggle under it and get it done!!! I have a wall hanging my mother asked me to do for her in 2013...still not done. But I made her a truly amazing quilt for Christmas so maybe once I give that to her she will forget about said wall-hanging? One can only hope. 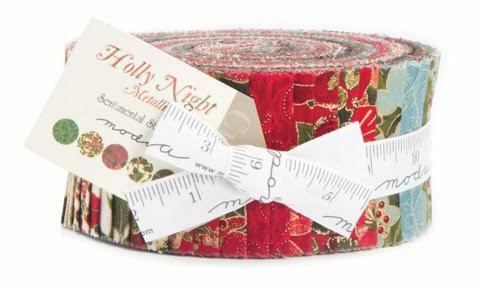 I love the Winterberry fat quarters in the shop!! My oldest started WIP are about 1 year old. Some Christmas table runners with tops pieced then I broke my arm. Hope to get them finished for this season! Quite a few Row-By-Row kits that I haven't yet busted out of their packaging. Oldest WIP is my husband (age 71)! No - really, it's a strip quilt that I started about a year ago. I receive Kimberly's newsletter. Thanks for the chance!
! just signed up for Kimberly's Fabric Stash newsletter. Didn't know about it before. My oldest WIP is a 2007 very pastel girly sashed full size straight-set thing with hour glass blocks (if I remember correctly). It's really cringe-worthy and I'm not sure it will ever be finished. I should give it away probably so I can stop feeling guilt about it! 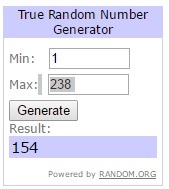 LaunderedCotton at gmail dot com Thank you for the giveaway! My (from a time gone by) WIP is from 2011, so not really terrible (or so I tell myself). My oldest WIP is from May 2015. I have a med purple quilt. Nine patch. Ready to be quilted and approx 20 years old! I get Kimberlys newsletter. Im from Washinton and planned to go there last month. We were visiting our medical student son, and i ended up getting the flu! Didnt go anywhere. Next time. My oldest WIP is 6 years old. It is a Double Wedding Ring quilt. I have been hand quilting on it a little at a time. I hope to finish it by the end of the year. My oldest WIP are a couple of scrappy four patch quilts...been hanging here for five or six years now....waiting to be quilted. My oldest quilt in progress is a quilt that only needs binding - for about two years now! I'm working on a quilt that has hand/footprints and drawings by my boys when they were small.. Probably over 10 years old! Their footprints would never fit on those blocks now! My oldest WIP is probably about 8 years old. I recently picked it up to work on again. I have a never ending QAYG that I will never finish!!! I think it is at least 10 years in progress. The oldest I can think of is a quilt top that got me kick started with quilting again 20 years after making my first one. I don't like it very much--probably why I didn't finish it! I started following Kimberly by email and joined the club! I wouldn't even know how old my oldest hip is....somewhere around 15 years at least...funny how things get shoved to the back of the closet and forgotten for so long! I follow Kimberly's on FB. My oldest wip is 7 years. I think my oldest project is a quilt I cut out about 6 months ago. It's ready to go, but I have made another 2 quilts since I started it, and I have 2 more in the works. Why am I procrastinating?? I just finished a panel for my daughter that was 2years in the making. My oldest WIP is about 4 years old and is a QAG wonky log cabin block quilt. I have about a dozen blocks done and simply lost interest! I have two quilt tops I made about 6 months ago, they just need backings and will be ready to quilt. My oldest WIP was started in about April. It is all small HST. 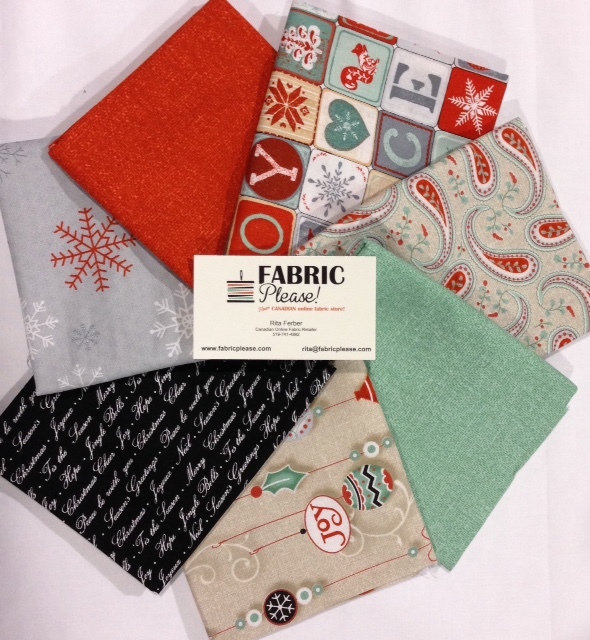 Kimberly's Fabric Stash has yummy batiks! Ugh!!! I have a TAW from the late '80s. I keep threatening to toss it, but just don't seem to be able to do so. Not sure if it's a work in progress if I'm not working on it or progressing on it, but I took a quilt class about 35 years ago & got the quilt top pieced, but never got it quilted. But it's what started my quilting journey!! I already get Kimberly's newsletter via e-mail. Humm I think I have one from 4 years ago that I haven't finished. Oldest UFO is 2013 Block of the Month, I finally got sashing and border done, now is in the process of quilting it. I have signed up newsletter with Kimberly's Fabric Stash. My oldest WIP is an applique quilt that I've been working on for six years. I work on the blocks during car trips. Thanks for the chance to win! A double wedding ring quilt I started in a class in 1998 remains a work in progress. My oldest WIP is a Sampler quilt that I'm free motion quilting the individual blocks and need to put the quilted blocks together. Can't seem to get back to it! I have a hand pieced quilt that I think I made in the late 70's. I hate the colors so I never quilted it. I follow Kimberly on FB. My first quilt, I need to finish! My oldest, about two years is hand appliqué of Auntie's Green Garden, the end is in sight. My oldest WIP are cross stitch projects I started about 25 years ago! I have a BOM from almost 3 years ago still awaiting borders. Everything else is put together - sad really. My oldest work in progress is probably my Dear Jane quilt! I probably started her 7 years ago...and who knows when she will be done! Oh my what was I thinking when I started this!!!! I love the Halloween stitcheries in Kimberly's shop!!! My oldest UFO is a strip quilt. I started it abut 15 years ago and it is still in pieces. One of these days I will finish it. Bear Hollow Quilt. Pattern published in Quilter's Newsletter Magazine as a six part series beginning Oct. 1994. Designed by Ann Sealy. I completed the flimsy soon after the last instructions were published. I just can't seem to make myself quilt it. My sewing skills have improved in the years since I made it. Now that I have a long arm, I think I just need to get the thing done. Thanks for the chance to win. My oldest WIP is 5 years old--a snowball quilt in blues and browns. I still love the colors, but not as much as some of the new fabrics I see every day and love to work with now. Thanks for the chance to win one of these wonderful prizes! I started an Amish quilt several years ago that is still waiting to be finished. I follow Kimberly's Fabric Stash on Facebook. My oldest WIP is about 7 years old. It was my first designed quilt. It was for my father featuring Santa, (He was a professional Santa for over 50 years). I just pulled this out to finish a few days ago. Just need to figure out what sashing and border I want to use. All blocks were finished. I am pretty well caught up on my WIP projects. I have one that I started a couple of months ago, and just can't get back to it. Hopefully, the mood will strike me and I'll get it done!! I'm sure one of my oldest projects is an old Thimbleberries quilt top, blocks are done just not together yet. Lol! I'm signed up for Kimberly's newsletter. I follow Kimberly's Fabric Stash on pinterest. My oldest is about a year old. Have the top made, backing ready just need to baste and quilt it. Hate to admit but I suddenly remembered a pair of pillows I never finished from a group project circa 1985. Not even sure where it is in my house! Time to search? I follow by Newsletter and Pinterest!